Helps to smooth facial lines, wrinkles and most types of scars on the skin by supplementing the collagen under the skin and cells renewal, resulting in better toned, smoother and younger looking skin. Refines skin texture, promoting a new radiance. Prefect for all skin types. Apply to cleansed face and throat. Follow with moisturizer as desired. Use twice a day, AM and PM. Many people, especially women of 40 years of age and older, use collagen complex, to maintain their youthful appearance. This is because, as people age, they lose up to thirty percent of their collagen, resulting in the development of wrinkles, crow’s feet and sagging skin. 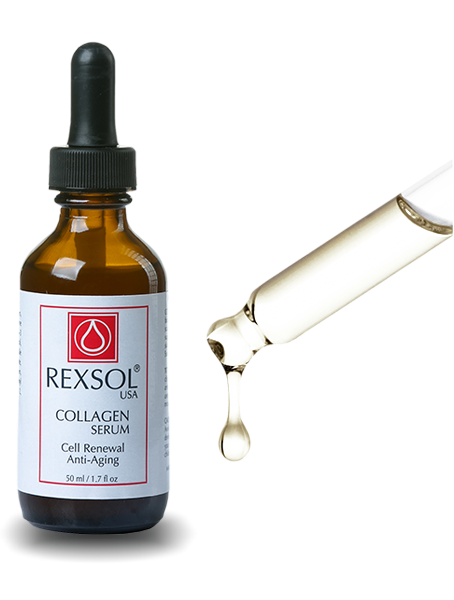 Collagen complex is believed by many to help slow down this process, and may actually help prevent it from occurring. 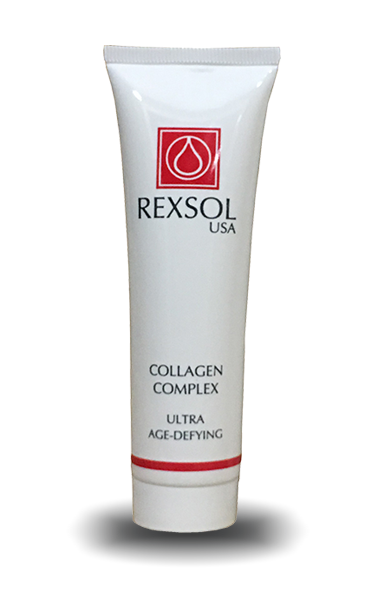 This remarkable age-defying collagen complex enhances skin appearance, restores fine lines and wrinkles, and gives skin its youthful tones and firmness. Helps restore skin’s natural balance and luminosity. For all skin types. Apply AM and PM to cleansed dry face and neck before your moisturizer.